My son recommended I read this one and I'm glad he did. Surely You're Joking, Mr. Feynman! offers a fascinating look into the life of one of the brightest minds of the past 100 years. Richard Feynman is probably best known for his involvement in the Manhattan Project and for winning the Nobel Prize in Physics but this book is more about who he was as a person. Unlike some dull and dreary book on the science shelf, Surely You're Joking is an extremely enjoyable read, thanks in large part to Feynman's conversational writing style. The author's curiosity also shines through and it's easy to see why he was such a brilliant scientist; he clearly was one of those kids who spent a lot of time taking things apart and learning how they worked. 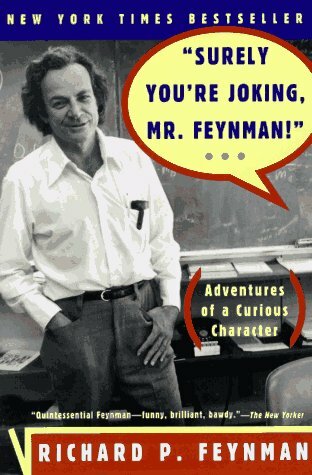 This book is a timeless adventure through the highlights of Feynman's adult life. It's filled with stories of his time at Cornell, CalTech and of course, his work on the bomb. 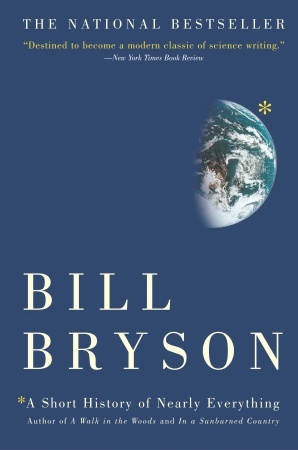 Although you won't learn much about science from this book, it will definitely give you a better appreciation for the man and what made him tick. I read it a few years ago and it really sparked a renewed interest in science for me. 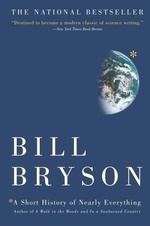 I'm talking about Bill Bryson's A Short History of Nearly Everything. What an incredible book. It's my very favorite book of all time. If you haven't read it yet grab a copy as soon as you can...and get another one as a gift for a friend! Speaking of which, oldest and best friend from my younger days in Pittsburgh recently told me he just read Bryson's latest hit, The Life and Times of the Thunderbolt Kid and loved every bit of it. I just got my copy and can't wait to dig into it. So what's your favorite book? What's the one book you'd wish for if you were stranded on a desert island? Bryson's is my choice.